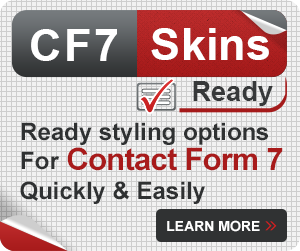 While designing a Contact Form 7 (CF7) form using CF7 Skins, it is recommended to group the form into fieldsets with their respective legends. 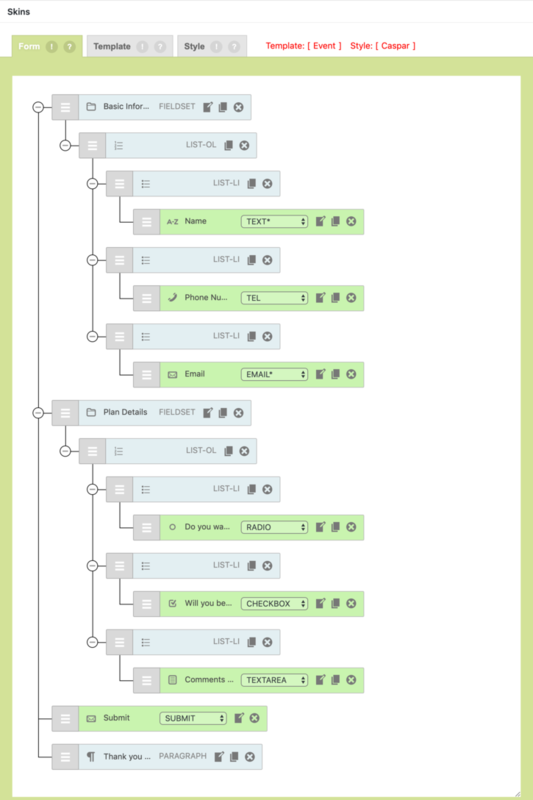 Use of fieldsets in a form helps you divide the inputs into logical groups. 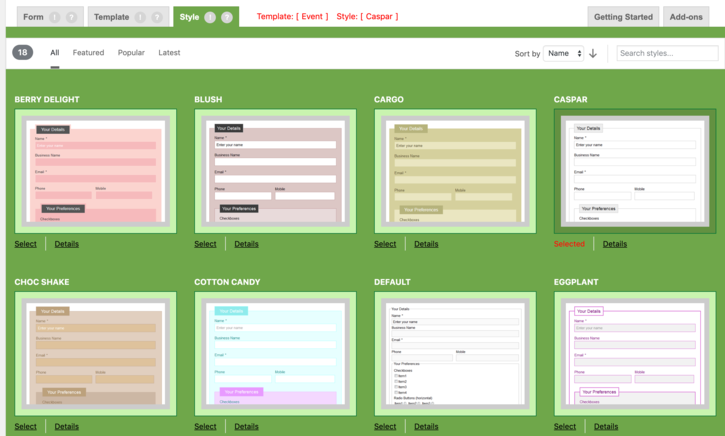 Apart from being a good form design principle, it also helps the users fill out the form easily. 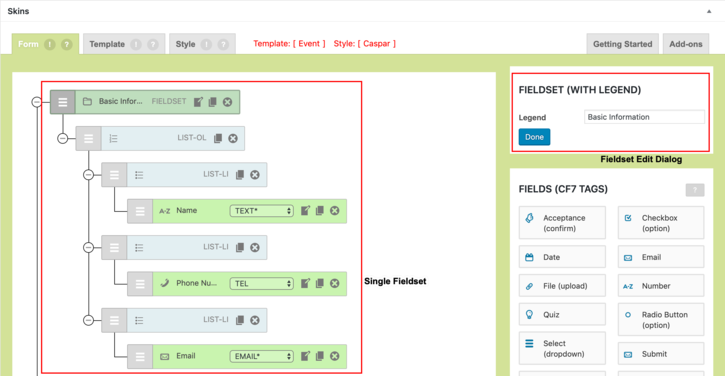 This article will show you how to logically group the input fields using fieldsets and how they can improve the usability of Contact Form 7 forms. For the purposes of this article, let us use a sample form for registration to a convention. 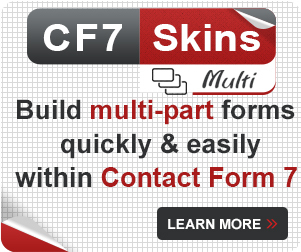 The form is going to take the following inputs. Do you want to opt-in for meal plans? Will you be attending any additional workshops? Thank you for using our website to register. Tip: The actual appearance of this form is set by our current WordPress theme & the CSS styling that theme applies to standard HTMl form elements (in general) & Contact Form 7 forms (in particular). It has no borders to markedly separate it from the rest of the content in the page. There is no distinct grouping of the fields in the form. Due to these problems, filling out the form can be confusing and jarring to the users. 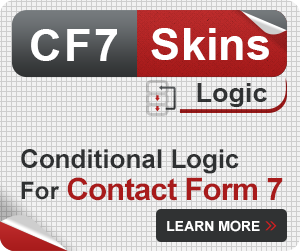 Additionally, the form does not conform to good form design principles. To improve it, we make the following changes. Use of borders separates the form from the rest of the content in the website. This distinctly marks the boundaries of the form and removes a considerable amount of confusion for the users. 1. 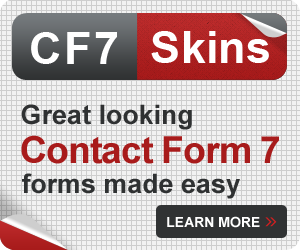 Select your form from Contact >> Contact Forms. 2. 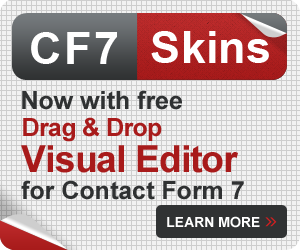 Scroll down to the CF7 Skins Visual Editor. 3. Go to the Style tab. 4. Select the desired style – in this case, Caspar. 5. Select the Form tab and click Save Visual. As you can see, using borders has made it clear that the last line, Thank you for using our website to register is actually part of the form. The modified form is also easy on the eyes. 3. 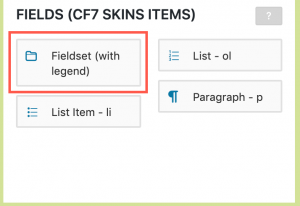 Add new fieldset from the FIELDS (CF7 SKINS ITEMS) section. 4. Click the Edit icon for the new fieldset. 5. Enter the Legend for the new fieldset in the FIELDSET (WITH LEGEND). Tip: Since all the inputs are in a single fieldset initially, you can just duplicate the fieldset by clicking the Duplicate icon, edit the respective legends, and remove unnecessary input fields from each fieldset. The final form eliminates the problems of the original form. It also looks to be well-designed, removes confusion among the users filling out the form, and is easy on the eyes.